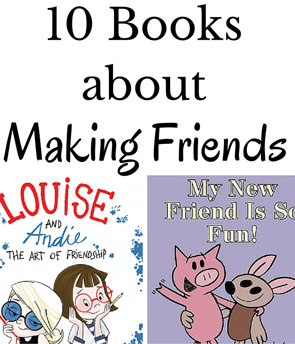 A list of fabulous books about friendship that will help your child learn to be a great friend. Childhood friends often become life-long friends. I still have dinner once a month with girls that I went to school with 25 years ago. 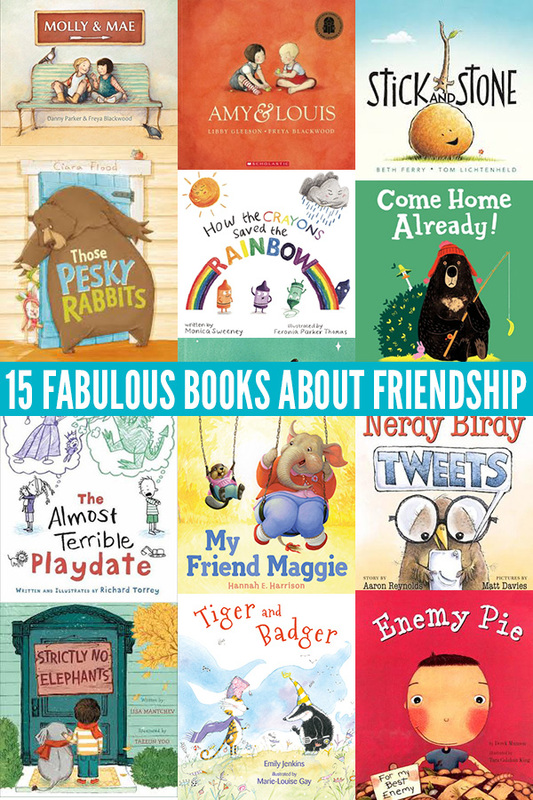 But friendships also have their ups and downs and today’s collection of books about friendship includes fabulous picture books to help children learn to navigate the highs and lows of friendships. Best of all, they will help inspire our kids to become great friends! 15 Books About Friendship – Kid Approved! Part of being a good friend is not excluding others. Strictly No Elephants by Lisa Mantchev is the story of a young boy and his pet elephant who are excluded from being in a pet club. The boy meets a girl with a pet who are also feeling excluded. Together, they decide to start their own club that allows all kinds of pets. Tiger and Badger by Emily Jenkins are best friends who get into arguments over silly things. They always find a way to work together to solve those little problems. This is a fun one to read-aloud. Sometimes friends get mad and stop speaking to each other. That’s just what happens to Cloud and Sun in How the Crayons Saved the Rainbow by Monica Sweeney. The crayons step in and help repair the friendship and bring back the rainbow. The Almost Terrible Playdate by Richard Torrey is a silly look at the disagreements that often occur between friends on a play date. Two children have different ideas on what imaginative thing they are going to play. Will they ever agree? 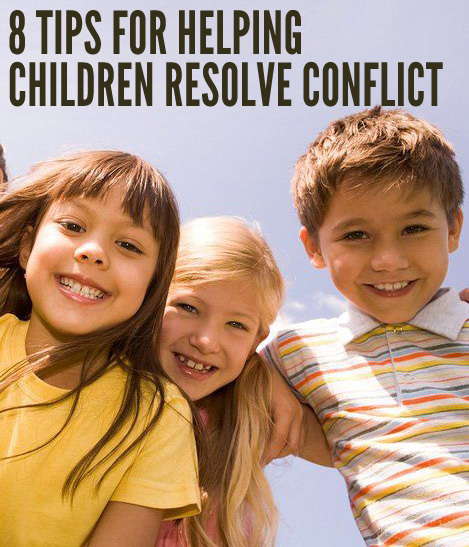 Pink Tiara Cookies for Three by Maria Dismondy addresses the topic of teasing between friends and the impact that it can have on friendships. Friends look out for each other. 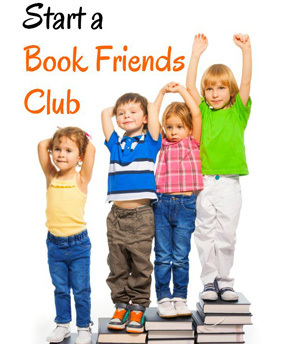 In Stick and Stone by Beth Ferry we meet two friends who enjoy spending time together. When a bully pinecone enters the scene, they even look out for each other. My Friend Maggie by Hannah E. Harrison is the story of two friends, Paula and Maggie. One day, Paula’s loyalty to Maggie is tested when another girl begins to tease Maggie. Paula learns a great lesson about true friendship. A great read-aloud to young listeners. In Lost and Found by Oliver Jeffers, a boy discovers a penguin on his doorstep he assumes he is lost and tries to take him home but along the way the boy discovers the penguin is actually lonely, not lost. In Enemy Pie by Derek Munson, a young boy learns that sometimes our first impressions of someone is not quite right and we need time together to get to truly know them as a friend. Molly and Mae: A Friendship Journey by Danny Parker highlights the wonderful capacity young children have for making friends easily, and the ups and downs of these spontaneous holiday friendships. A cautionary tale for modern kids about the allure of online ‘friendships,’Nerdy Birdy Tweets by Aaron Reynolds reminds us that it’s the people who care for us in real life that matter most. In Come Home Already! by Jory John unlikely friends Duck and Bear make us laugh all over again when Bear sets out on a solo camping retreat and his determined friend Duck, disappointed with being left behind, sets off on an adventure to find him. Each day Amos spends time with his animal friends at the zoo in A Sick Day for Amos McGee by Philip Steed. One day, Amos is sick and it’s time for his friends to spend time with him. Amy and Louis by Libby Gleeson looks at the enduring strength of friendships, when one friend moves away. Those Pesky Rabbits by Ciara Flood is probably our favourite book about friendship! Bear is happy living on his own. When a family of rabbits move in next door they always seem to be on his doorstep, asking to borrow honey or for help to chop wood or if Bear would like to swap books … Bear responds by telling them to leave him alone! So they do. A lovely story about being kind and enjoying the company of others. 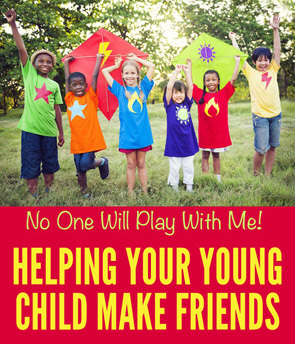 This collection of picture books is perfect for inviting discussion about friendship with children of all ages. Each title is linked to Amazon and The Book Depository where you can find reviews and age recommendations for those you might not be personally familiar with. These are affiliate links. Let us know which book is your favorite!